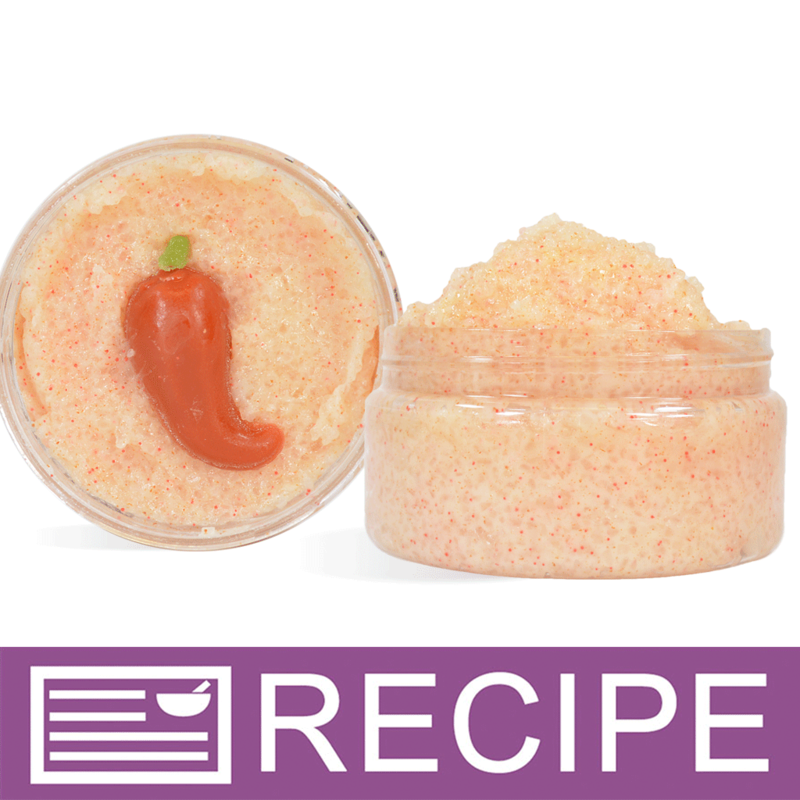 This Salsa Salt Scrub is unlike any other scrub we've seen! Scented in a custom blend with Hot Pepper, Mango and Green Herbal, any spice lover will adore this scrub! Complete with a mini chili pepper soap to top it off. You Save $20.40 by purchasing this kit rather than buying the items separately. Scrub: Sea Salt, Avocado Oil, Avocado Butter, Emulsifying Wax, Fragrance, Sunflower Oil, Calendula Extract, Sunflower Extract, Aloe Extract, Irish Moss Extract, Marshmallow Extract, Tomato Powder, Vitamin E, Phenoxyethanol, Methylparaben, Ethylparaben, Butylparaben, Propylparaben, Isobutylparaben, Jojoba Wax, Red 6 Lake. Chili Pepper Soap: Sorbitol, Propylene Glycol, Sodium Laureth Sulfate, Stearic Acid, Myristic Acid, Water, Sodium Hydroxide, Sodium Cocoyl Isethionate, Iron Oxides.